Each decision we make in life leads us down a different path. Have you ever wondered what would be if the path not chosen weren't lost to the chaos of the universe? For Jun Sakurada, just such an opportunity is presented to him in his darkest hour: a chance to communicate with a future version of himself who did not win the key and bring forth the Rozen Maidens, and a chance to fix the shattered remains of his own world. For Jun-who-did-not-win, the messages from his younger self represent a beacon of light in his mediocre and disappointing existence. 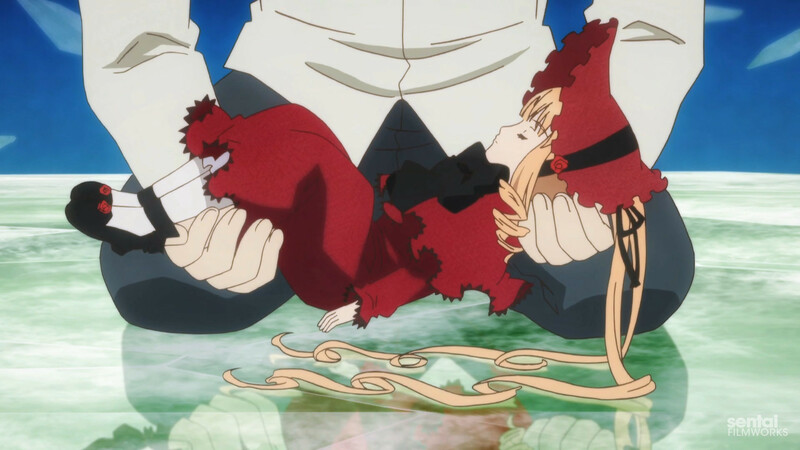 When the adult Jun discovers a box with parts and building instructions for a familiar red-dressed doll, the goal becomes clear: revive Shinku in his world to save both worlds from succumbing to the evils of Kirakisho, the seventh Rozen Maiden in a desperate search for a body and master. The Alice Game will become a war of dimensions as two worlds hang by the threads of fate.